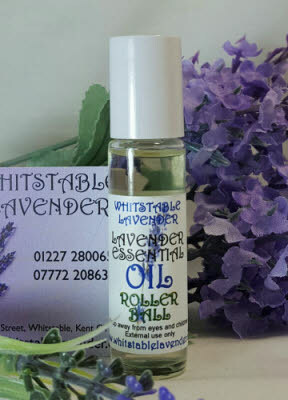 Try our special blend of Lavender and Peppermint oils in an Almond Oil base or for a stronger smell use our Lavender Essential Oil Roll-on. 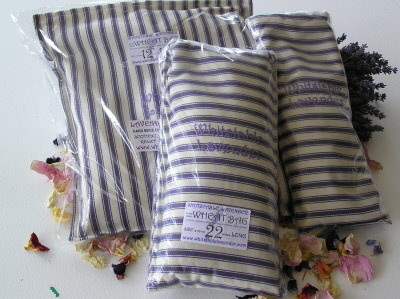 An Eyemask or a warm Wheatbag may also help to soothe your headache and relax you. 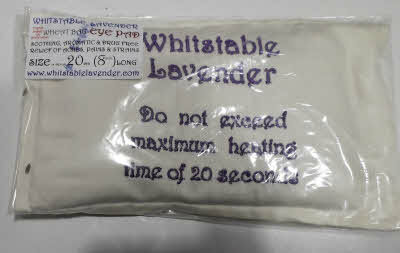 Made with Lavender & Peppermint essential oils blended with Almond Oil. 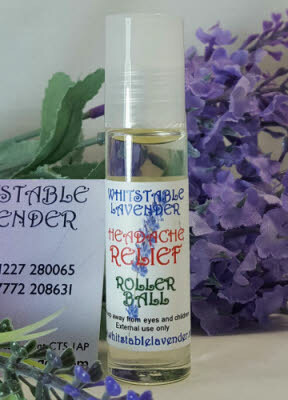 Roll-On for Headache Relief. Roller-ball applicator for easy application. Lavender essential oil is non-toxic, non-irritating and non-sensitising. Our Lavender Essential Oil is 100% pure oil extracted from Lavender plants.This oil is obtained by steam distillation of the freshly cut flowering tops of the herb Lavandula angustifolia. 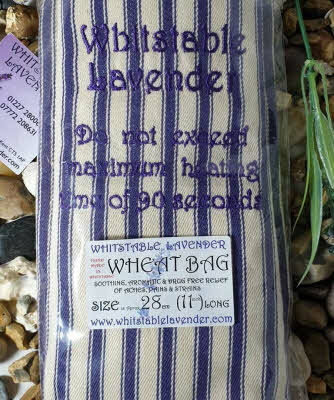 From the Lavender Plant 'Lavandula angustifolia 'Maillette' grown both in France and England for its high yield and quality of its sweet smelling oil. Reduce stress and headaches by applying to temples and the soles of feet to help you to relax. Lavender Essential Oil Roll On - 10ml. Lavender essential oil is non-toxic, non-irritating and non-sensitising. External Use Only. Do not use if pregnant. 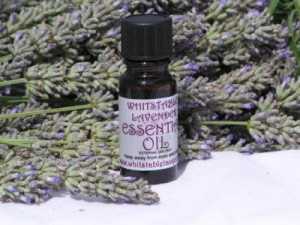 Select Lavender oil or Without Lavender Oil from the dropdown to complete order. 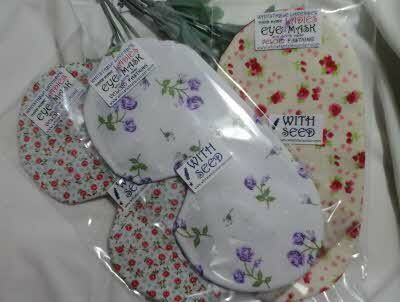 Eye Pad Wheat & Lavender Bag incl. Cover. Great eye pad for when you want something with a little weight. We have a range of eye masks so the product design/colour supplied may differ from those shown in the image. 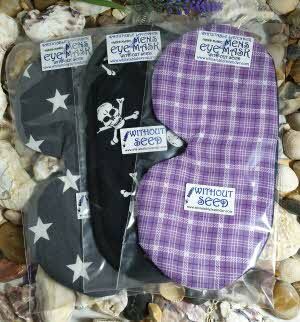 Eye Mask in various colours. Give your eyes a rest with one of our pretty eye masks. Approx size 8ins x 4 ins Approx weight 21 grams. A must have for flights and long train journeys. Product design supplied may differ from the examples shown in the image as we use various fabrics for the finish. Note: The material used for the outer cover varies so the product supplied may have a different colour/design to that shown in the image. Small Lavender Wheat Bag with Embroidered Whitstable Lavender Cover Approx. 454g. Can be put into a microwave or freezer. The outer embroidered cover can be removed for washing. 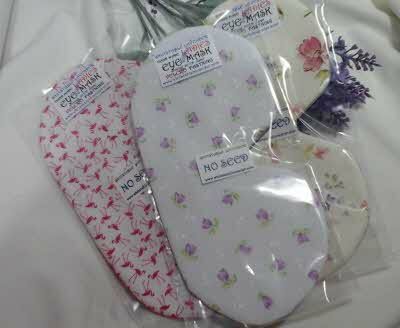 Note: the outer bag cover can be ordered separately to replace a worn bag cover. When ordering On-line you will receive emails regarding your Order request & Payment. The shop at 7a High Street Whitstable, Kent, England is usually open 7 days a week between 10am till 5pm and on most UK Bank Holidays.